We’re into September now and for the world of tech that means the arrival of a brand new iPhone. Last year we saw the iPhone 6S, the slightly tweaked and improved version of its predecessor but this time we were expecting something all new in the iPhone 7. If you’ve had an ear to the ground on the Apple rumour mill in the lead up to this announcement some of the new features will come as no surprise to you, so here goes. The possibility of Apple removing the headphone jack from the new iPhone was one of the most commonly talked about rumours in the lead up to September. As you might expect, it was an extremely controversial topic and it’s safe to say that if Apple made this a reality it would be received with mixed reactions to say the least. Well, they’ve only gone and done it - iPhone 7 does not have 3.5mm headphone jack. 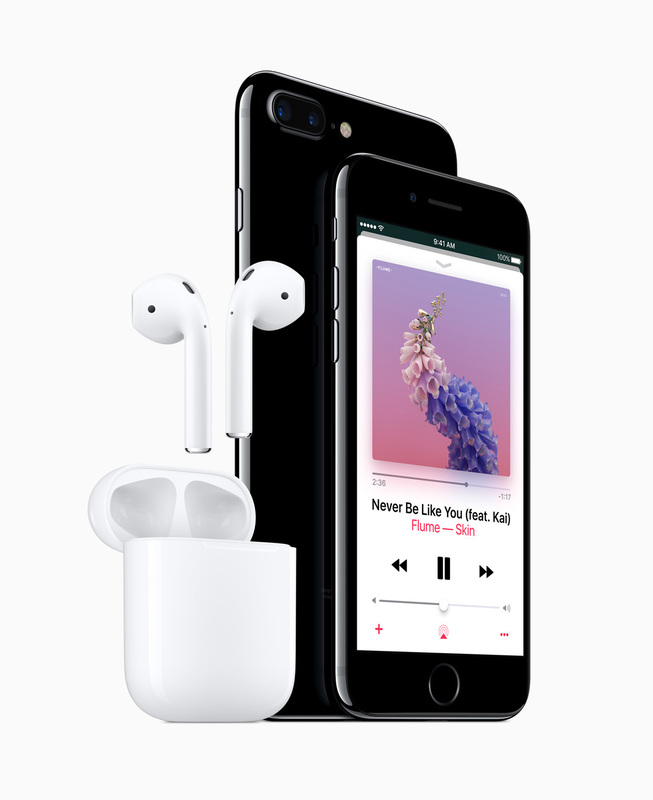 In its place is a second speaker which gives iPhone stereo sound for the first time, and Apple has developed a set of earphones with a Lightning connector that will ship with the phone. To anyone worried they won’t be able to use their own traditionally wired headphones, an adapter comes in the box so you can still use 3.5mm headphones with the device. However, Apple’s vision by taking this huge step in phone design appears to be in an effort to forge ahead with standardising wireless headphones. Apple has created a set of wireless headphones called AirPods specifically for the iPhone 7. The AirPods are completely wireless, there isn’t even a cable to connect the left and right headphone together. The AirPods apparently have only five hours of battery life, but come with a battery case that provides for 24 hours of total charge (although you’re not able to listen to music whilst you charge). The downside? They’re characteristically expensive, coming in at $159 in the US without a price confirmed (as yet) for the UK. Apple has ditched the ‘Space Grey’ that appeared on the last few models, opting for two new colours in its place. 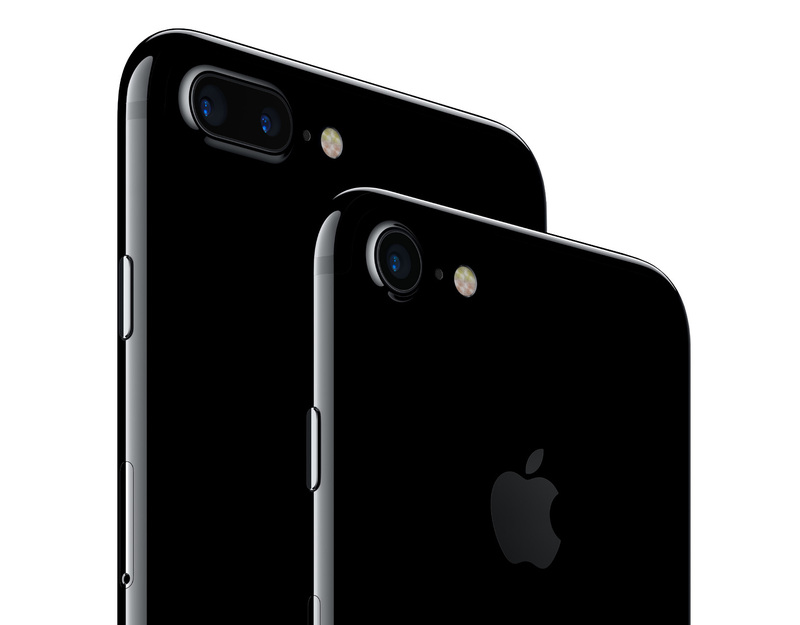 The iPhone 7 and 7 Plus are available in five different colours including two new shades of black - a matte black and a glossy jet black will be available alongside silver, gold and rose gold, although the new shiny "jet black" finish will be offered exclusively on the 128GB and 256GB models. Other than that, the new iPhone look extremely similar to the current iPhone 6s and 6s Plus, although as rumoured Apple moved the antenna bands from their current location on the back of the device to the sides. Nobody needs to reinvent the wheel but, for a company with the design pedigree that Apple does, it feels a bit thin on the ground in the aesthetic department. Although the camera on the previous iPhone was already regarded as very good indeed, Apple has revamped it again to improve low-light capabilities and take even better photos in general. The smaller 4.7-inch device has a f/1.8 lens that lets 50 per cent more light onto the lens, a new 12MP sensor that's 60% faster and 30% more energy efficient. Not particularly radical, but small tweaks that will make a noticeable difference to the end product. 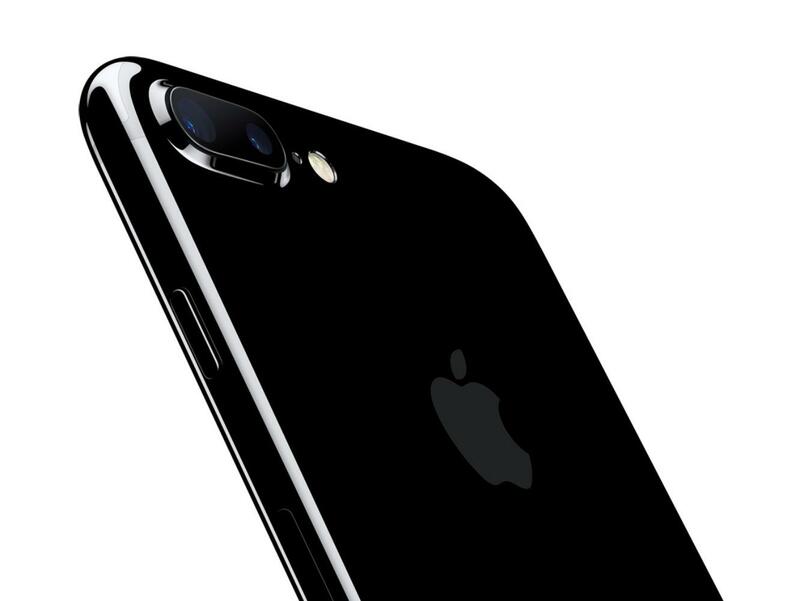 However, the 5.5-inch iPhone 7 Plus has a major improvement - it has a dual-lens camera. This allows for a massive increase in picture quality when zooming in on a photo, something that has plagued Apple for years. On the device, this means it will have two 12MP cameras, one of which is a wide angle lens and the other a telephoto lens that can zoom 2X in high quality without using any software. The telephoto lens means the camera can zoom to 10X with optical and soft zoom. On top of this, the new iPhones have image stabilisation and a new camera flash to improve photos shot in low-light - including a ‘flicker sensor’ that makes the flash look like natural light. Finally, the front facing camera has been upgraded from 5MP to 7MP, for those who want to take a remarkably high quality selfie. The last major updates to the iPhone came in the form of upgraded internal hardware. The iPhone 7 will be powered by a new Apple A10 Fusion which has a 64-bit 4 core CPU. This makes the phone 40% faster than the old A9 chip found in the iPhone 6s and double the speed of the A8 processors in previous models. It also has an improved graphics performance which is also 40% more powerful than the A9. Apple has also brought Haptic Touch feedback the iPhone 7’s home button. 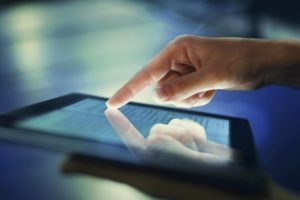 This means that, when touched, it will give feedback to the user through small vibrations - similar to what has been implemented on Apple’s MacBook’s for some time. Oh, they’re also waterproof - so it appears Apple have finally caught up with the smartphone pack in this regard. iPhone 7 will start at £599 for 32GB whilst iPhone 7 Plus will start at £719. You’ll be able to pre-order the new iPhones on September 9th with shipping expected to start on September 16th.